Home Ecommerce Kim Lato Kimstore Meet Kim Lato the Mind behind Kimstore! Meet Kim Lato the Mind behind Kimstore! When buying gadgets online at an affordable price in the Philippines, we all know Kimstore.com. For an online store, its strong following of tech-savvy customers have made Kimstore.com one of the few striving pioneers of e-commerce in the country. Despite the growing e-commerce industry and the competition from regional online stores slowly taking foot in the Filipino market, Kimstore.com proves to be a leading local retailer when it comes to affordability for the latest gadgets around. And at only 27 years old, owner Kim Lato, whom the business is so aptly named, has been consistent in making it big as she takes her humble business from the streets of Tondo to the rest of the world. A Marketing Management student back then at De La Salle University in Manila, Lato made good use of what she learned in school at an early age. 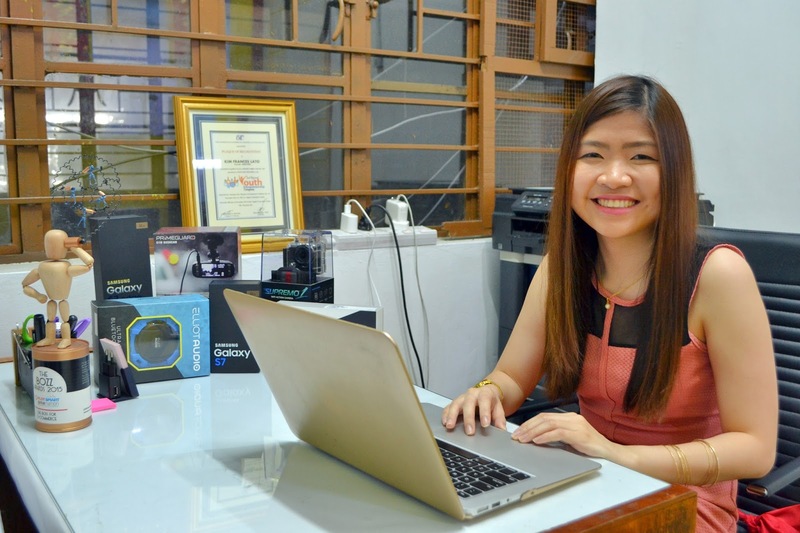 Her first try at selling online was when she got into the idea of selling mobile phones and gadgets through the now defunct social sharing site Multiply. Aside from credibility and reputation, she emphasizes that e-commerce is all about the convenience of online shopping. Selling products at an affordable price draws consumers to further trust her brand, she emphasizes Kimstore.com’s mission of providing consumers with high quality products at the best price. Through the experience, Lato firmed up her believe of always having room for growth. “You may be the best today but there will always be another disruptive idea that can challenge your organization. In order to achieve that, you and your company should work together to adapt to your customers’ ever-changing needs,” she shares. Now approaching its almost 10 years of serving their online customers, her simple study room for storage is now a 4-storey building in Tondo that houses all aspects of Kimstore.com’s operations. And from the housemaid alone, she has designated people to handle work for marketing, selling, customer care, deliveries, and logistics. As a pioneer of the e-commerce industry, Lato sets an example of what a reliable trusted e-commerce store should be. It is never solely about the profit gained; rather, it is about how a business continuously grows – having planted seeds of humble beginnings, forging a solid foundation, having the courage to take leaps and calculated risks, and patience to wait for the perfect time to bloom.